Hello there! I'm Emmy, and based on this picture, you might assume that I am a normal-eyebrowed, everyday woman in her thirties, just living her life, doing her thing, taking selfies in her hoodie. But nope! 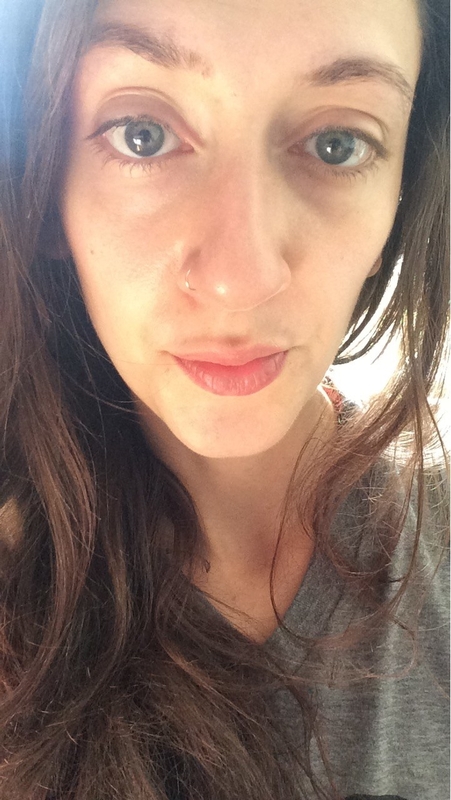 As it turns out, I have Benefit's Precisely, My Brow eyebrow pencil to thank for my fuller-eyebrowed alter ego. Let's get into it, shall we? Exhibit A: Here I am in all my asymmetrical not-so-full-brows, no-makeup glory, followed by the results of a few deft swipes of this pencil. 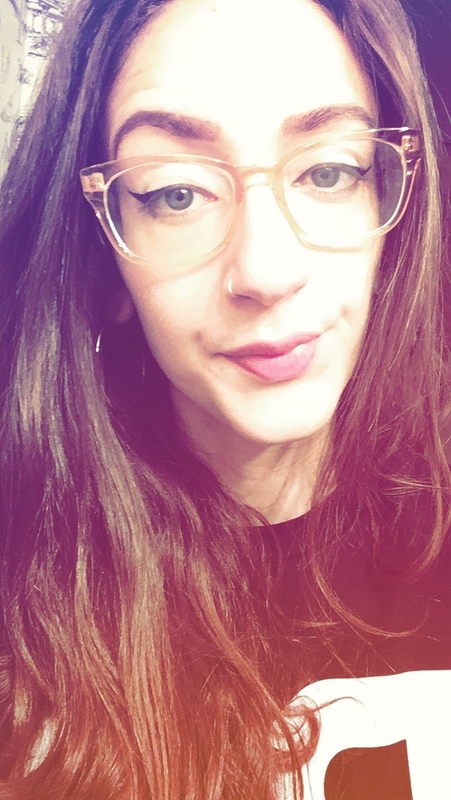 Once upon a time, in the late '90s and early '00s, I came of age and overplucked my brows because the razor-sharp-eyebrow trend was cool and I just wanted to be cool, okay? Here's a blurry picture from 2003 because I've destroyed all the other photographic evidence (and I can't remember my MySpace log-in info). ...I was introduced to the love of my life, Precisely, My Brow. The product's packaging touts its ability to create "natural-looking, hair-like strokes" — and let me tell you, it delivers. Since using this pencil, I've actually gotten compliments from strangers on my eyebrows (!!) for the first time ever in my life. Do you know how much effort it takes to summon up the strength to talk to a damn stranger in New York City??? 2003 me could never. Anyhow. I prefer my brows a bit on the fuller side, but if you're looking for a less dramatic (or even more dramatic!) effect, the ultra-fine pencil allows you to easily shape and fill 'em to the definition and volume of your heart's content. 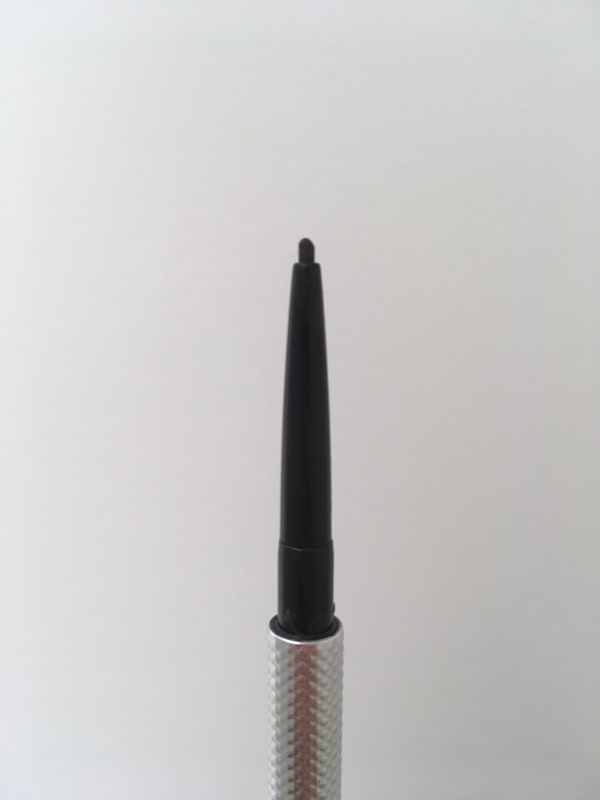 It applies super-smoothly, and it's easy to fix any screw-ups with the quick swipe of a cotton swab. Despite this, unless I'm furiously rubbing at my eyebrows for some weird reason, this stuff stays put all. damn. day. Step one: Take a look at your eyebrows. Step 2: Draw an outline of the shape you want them to take. It's pigmented enough that a light hand is all you'll need. You can use the spoolie to blend the corners for less-harsh lines (though sometimes I like mine to be a little more dramatic and defined, so, do you). There you have it, folks. May your brows forever be happy and as full as you want them to be! 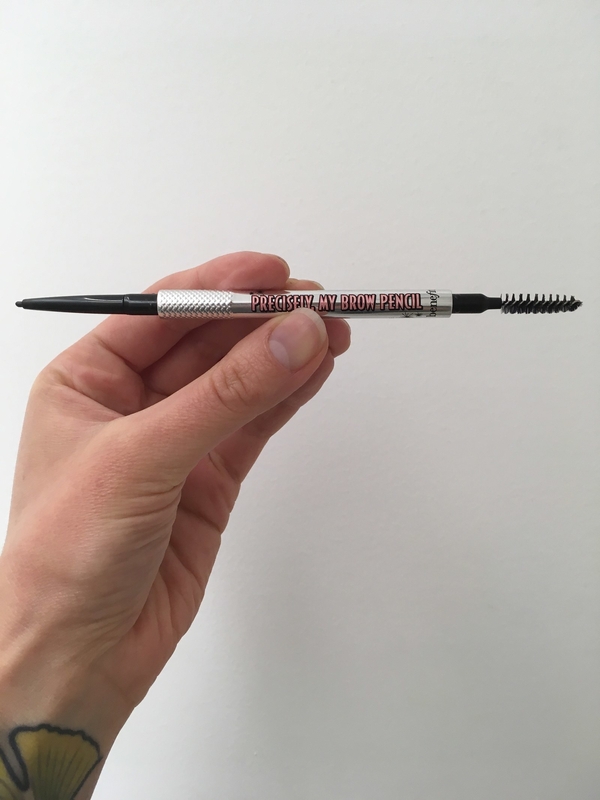 Get the Precisely, My Brow pencil from Sephora or Benefit Cosmetics for $24.